Costing less than most road and mountain bikes, and nearly all dedicated tourers, the Revolution Country Explorer, is quite a bargain. A reliable and comfortable touring bike is essential for actually enjoying multi-day touring rather than enduring it. Sadly, it’s usually the case that you end up paying a lot for that privilege this bike though looks to be the exception, even taking in to account the odd upgrade. On first glance, it’s a good-looking bike, painted in a fairly non-descript, but smart, dark blue colour so shouldn’t draw unwanted attention. It follows a pretty traditional style of tourer, with shallow dropped bars, and a fairly long frame for stability when loaded. Size wise, smaller riders may find it a little rangy. At 5'5" I found it even the smallest 46cm frame a touch long, and it wouldn't even be possible to tune that with a shorter stem. I'd recommend it as best for riders over 5'7" or those with longer torsos. Kitted out with a light but strong aluminium rear rack, complete with integral bungee, mudguards front and back and attachment points for three bottle cages, this is a bike ready and willing to head straight out the door for its first tour, with no messing. The only thing missing is a stand. It’s a pleasure to ride, as responsive as you could hope from a bike where uber-light weight is not the name of the game, and not remotely sluggish. The handling is neither flighty nor overly subdued, and it’s one of the most stable bikes I’ve ever ridden, which is a major plus when potentially adding a substantial weight into the equation. Even loaded, it handled positively and inspired confidence for a long and stress free ride. Based on the best-selling Revolution Country Traveller, the Explorer has a few notable upgrades. 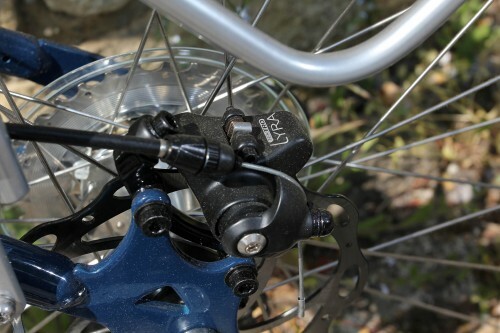 The Tektro Lyra mechanical disc brakes work effectively and are a good compromise for a touring bike, offering extra stopping power and longevity over rim brakes without the concern of repairing or replacing hydraulics while out on the road. There are no rim brake mounts though, so you’re committed to the discs. The Shimano Sora shifters are an upgrade from the Traveller, but are one of the few areas in which the Explorer suffers. The build quality does not inspire confidence for a long future of multi-day adventurous rides, and the physical act of shifting gear with them is not the most user friendly. If I were to buy the bike, I’d upgrade these immediately. The other step up from the Traveller is the saddle. I didn’t find the Selle Royal Mach foam saddle comfortable at all, but it’s hard to say if that was a problem with the saddle per se, or merely its suitability for my backside. It would be another area of upgrade for me. The Explorer was happiest on tarmac, but was quite adaptable, in that it coped admirably with some rougher trails too, making it a good option for the kind of touring where road quality may not always be guaranteed. The 1 1/4 “ Continental Tour Ride tyres and the Strongman double wall rims are sturdy enough to cope with some abuse, while the frame is just compliant enough to absorb some of the worst of the bumps. Even laden it copes well. The rear rack is light and robust, but sadly only rated to carry 25kg which isn’t that much when it comes to long distance touring. Combined with a front rack, however, for which there are attachment points, it should do the trick as long as you pack ultra light. All in all it’s hard to find fault with a ready-to-go comfortable and sturdy touring bike that costs about half as much as most bikes of a similar ilk. It’d make a brilliant all year round commuter too, especially for those who commute any distance and/or carry a load. A capable and sturdy feeling tourer, which could profit from a few minor upgrades, but overall is really good value for money. Double butted Reynolds 525 steel frame. "Totally reliable and efficient touring bike" aimed at tourists and also year round commuters. Designed to be a steel framed, disc braked alternative to the popular Revolution Country Traveller. Does seem ideally suited to touring and commuting, especially with a load. Well finished and sturdy looking, with no problems. NIcely compliant, without flex problems. Reynolds 525 steel frame, solid and reliable. Frame geometry a little on the generous side for shorter riders. Quite a long reach. Even 46cm would probably not suit riders under about 5'7", unless long in the body. Rake on fork great for comfort and long spells in the saddle, as well as for confident handling up and downhill. Height of bike OK, bordering on quite tall for the size, but reach quite long. Ideally suited to those with longer torsos or arms, or for those over about 5'7"
Still comfortable to ride for 5'5" person, but a little too stretched out for prolonged comfort in long rides. 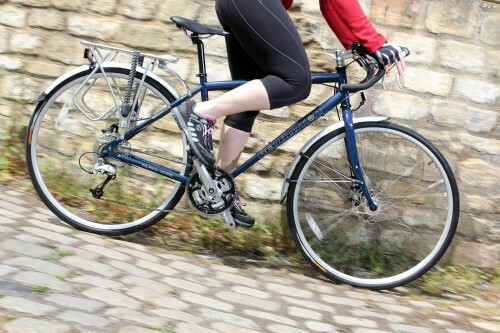 Length of frame ideal for avoiding heel striking panniers when loaded. Very comfortable to ride, with agreeable and easy handling. Non stressful ride with no surprises, and with a confident response. Compliant enough to cope with rougher trails, yet pretty fast on tarmac too. Just right for long distance comfort and for load carrying. Very efficient power transfer, no real inertia. How would you describe the steering? Was it lively, neutral or unresponsive? Neutral steering. Relaxed to ride. Good all-rounder. No particularly bad areas, but nothing really outstanding either. Climbed OK, rolled well and quickly on flat, descended with confidence. Bars were nicely shaped (drops) and reasonably well padded. Plenty of options for hand positioning throughout a long ride. I found the saddle to be uncomfortable, but saddles are a very personal thing, and there was nothing inherently wrong with it, it just didn't suit my sit bones! Reynolds 525 frame gave just the right amount of stiffness/compliance for long days, potentially rougher trails and load carrying. The Continental Tour Ride tyres were a nice combination of tough, good rolling on tarmac and able to cope with a bit of rougher trail riding. Responds pretty well unloaded and loaded. Not a bike really designed for sprinting. Stable and confidence inspiring, even when laden. Really relaxed ride, it's so stable. Excellent at junctions. Easy to control. Takes corners in its stride with no dramas. Corners well on descents, but always going to be slightly less sure footed when fully laden. Solid for climbing. 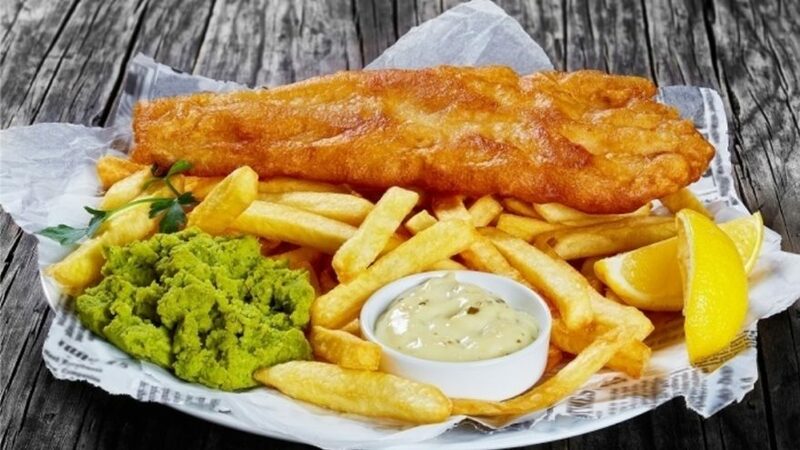 Comfortable to just dig in and grind up a hill with a load or go for it unladen.. Traditional derailleurs are proven pretty much reliable, but are often considered to be a slight risk for long distance or remote area touring, where repairs or spare parts can be trickier. A hub gear would have been nice, but for the money, and the fact that this does excellent double duty as a workhorse commuter, the derailleur does just fine. A good match of wheel/tyre for a quicker adventurous tourer or year round commuter bike. Feasible to go for fatter tyres for rougher terrain. Unbranded hubs are an area where costs have been cut, but they're free moving and seem to perform well, so not really a problem. Let down by the Sora shifters. Everything else great. Those Sora shifters again. Otherwise fine. Brakes are excellent. Very sure and affective. The Shimano Sora gear shifters are unwieldy in use, sometimes causing wobbling or swerving when shifting. The hoods are also very broad for smaller hands, making it uncomfortable to rest hands in this position for long. Larger riders probably wouldn't find this a problem. I'd upgrade the shifters straight away if I bought the bike. 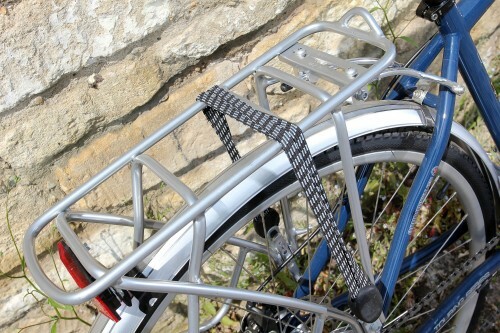 Rear rack, as fitted, is sturdy and light, and comes with integral bungee. Would you consider buying the bike? Definitely. 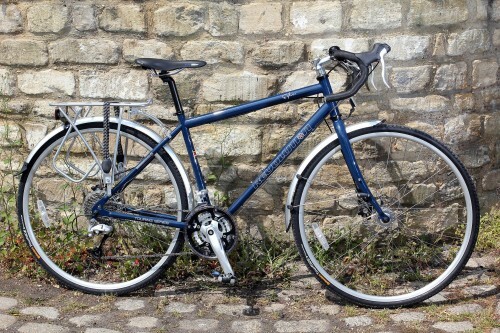 A great value for money touring bike that will double as an all weathers commuter. Sora shifters take a bit of getting used to if you are used to higher end Shimano stuff but you soon pick it up. I think it unlikely prospective buyers of this bike would find it hard to adapt. Good all round do it all bike someone asked? Glad it is steel instead of aluminum for a comfy ride. Great review Leonie. Thanks from an Edinburgh Bicycle Co-op worker. Please allow me to defend the Revolution Country Explorer's rear rack's quoted 25kg maximum capacity. All our bikes comply to EN (European Union) legislation. It's the law. EN14872 deals specifically with pannier carriers and states that a carrier must be clearly marked with a 'max weigh of 25kg' warning. Carrier manufacturers stamp this 'warning' on all compliant carriers. Claiming a higher load capacity actually contravenes the EN standard. If a touring bike comes with a rack that does not state 'max weigh of 25kg' it does not comply with EU regulations and is strictly speaking illegal to sell in this country. Whether or not you agree with such legislation, we prefer to ensure all our bikes are not just great value. They must also be legal. Rest assured that our Revolution Country Explorer is soundly equipped from the handlebars to the rear rack.